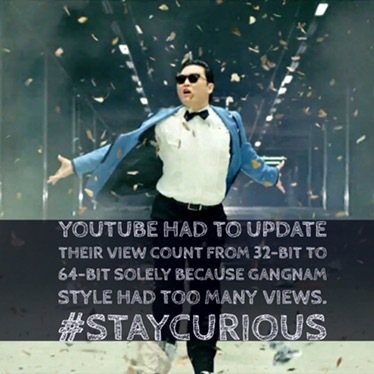 YouTube had to update their view count from 32-bit to 64-bit solely because Gangnam Style had too many views. When Queen wanted to release Bohemian Rhapsody in 1975, various executives suggested to them that, at 5 minutes and 55 seconds, it was too long and would never be a hit. In 1953 US and UK overthrow first Iranian democratic government because Iran wanted to nationalize the petroleum reserves. Some roommates faked a case for Judge Judy to get a free vacation in L.A.